Get 7 On Your Side! Contact Nina Pineda here! 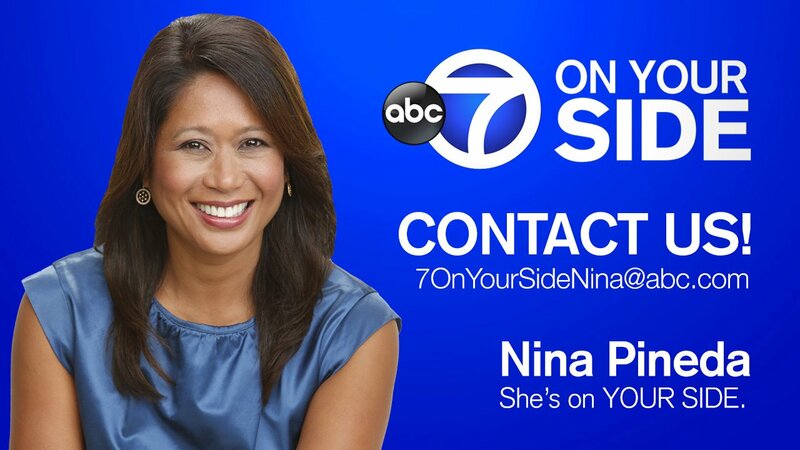 Email your questions, issues, or story ideas to by filling out the form above, emailing 7OnYourSideNina@abc.com, post them any time on Nina's Facebook page or tweet her on Twitter @7OnYourSideNY! You can call the 7 On Your Side Hotline at 917-260-7697. Contacted the company and explained your complaint. If your complaint wasn't resolved, you should request a chance to work out the problem with a supervisor. 7 On Your Side primarily deals with consumer problems, usually, but not limited to, the purchase of goods and services by individuals. Except in extraordinary cases, we do not handle family law disputes and criminal issues. 7 On Your Side cannot help resolve civil disputes such as suspected malpractice and issues that are scheduled for, or are already in court or before an attorney or arbitrator. We can, however, refer you to the proper agencies that may be able to provide the help you need. Before submitting an email, please make sure you are contacting the correct station. This is the 7 On Your Side unit at WABC-TV, the ABC station in New York City.